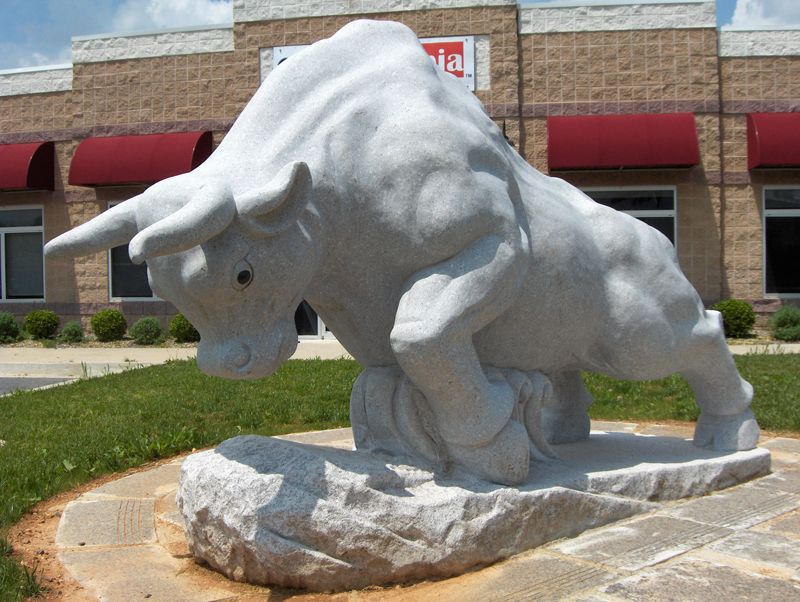 CounterTopia, LLC furnishes and installs original and unique, hand carved sculpture replicas, stone statues, garden statues and stone sculptures. We supply the highest quality sculptures only seen in museums or art galleries at an affordable price. 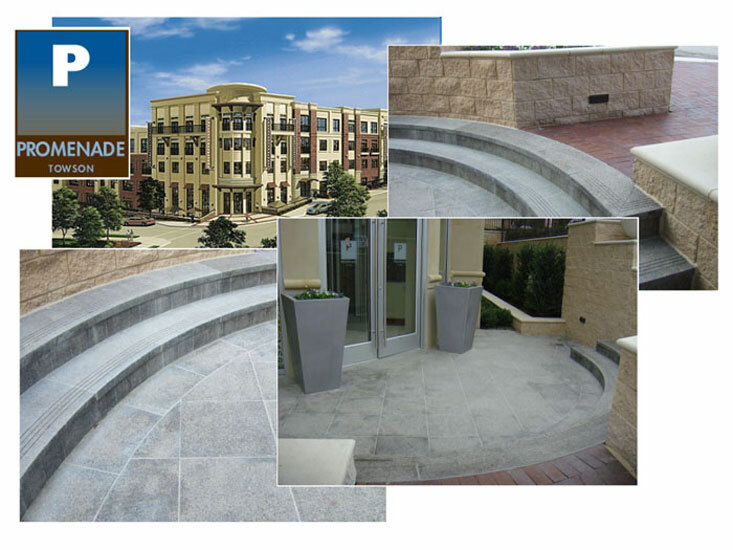 2009 - Granite Sphere Fountain with base and Granite walls. 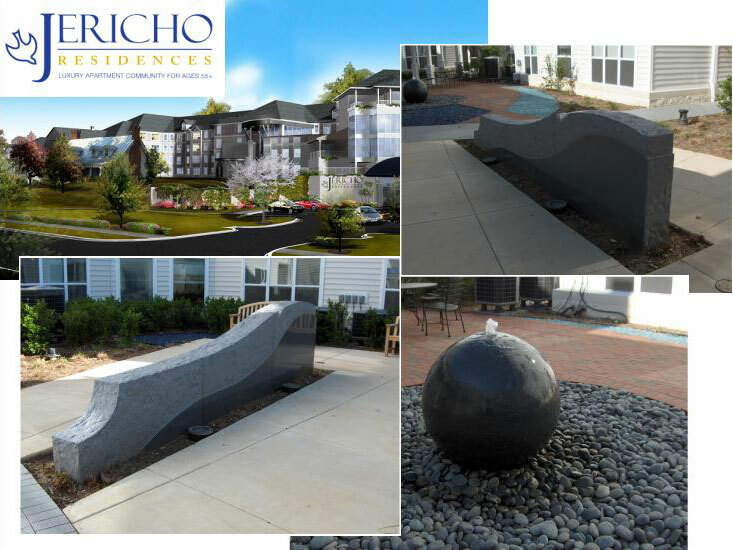 Jericho Senior Apartments in Lanham, Maryland. 2009 - Granite Statue and six benches. 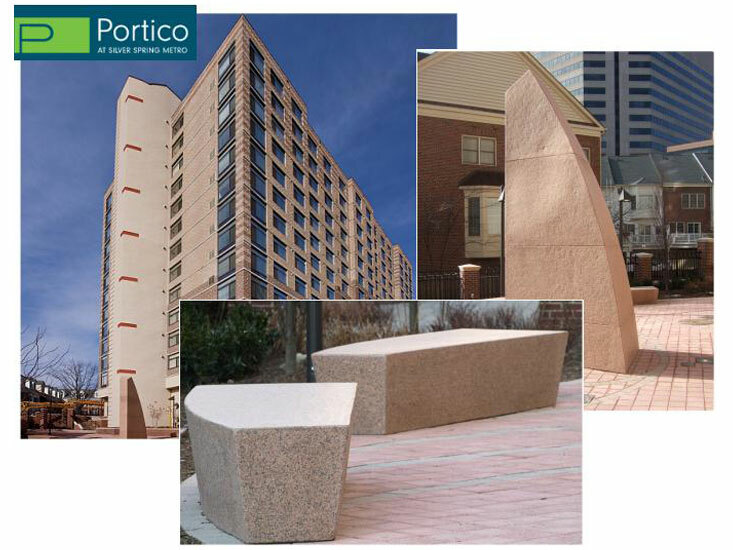 Portico in Silver Spring, Maryland. 2010 - Granite exterior stairs. Towson Promenade in Towson, Maryland.